Exams can be a major source of anxiety for students, especially if they receive a failing mark. But one school in China is now allowing its pupils to borrow necessary points from a ‘grade bank’ in order to pass any test. The innovative scheme is the brainchild of the Nanjing No 1 High School in Nanjing, Jiangsu province, which is running a trial of the concept with its 10th grade Advanced Placement (AP) class, the South China Morning Post reported, citing the Yangtze Evening Post. The director of the school, Kan Huang, said the new scheme is an effort to place more emphasis on students' growth rather than their exam performance, noting the current exam-oriented culture which could lead to a pupil's future being determined by a "single major exam." Physics teacher Mei Hong also hailed the scheme, saying it is aimed at giving students a second chance. “Fifty-nine points and 60 points are actually not that different,” she said, noting that one score is failing while the other is passing. The difference, however, "weighs heavily on students' psyches." A total of 13 students out of 49 have so far borrowed points from the grade bank. One of those students took points to pass a recent geography exam after falling ill.
"Because I was sick, I missed some classes. The mark bank saved my grade," he said. But just as borrowing money from a real bank comes with the requirement of paying it back with interest, the grade bank works the same way. 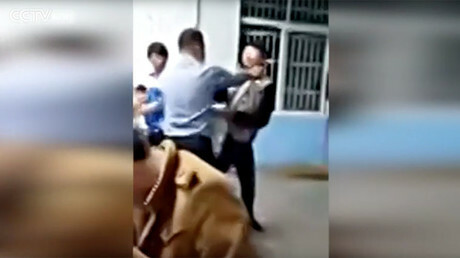 Students must repay the marks by scoring extra points on a future exam, though some teachers also allow students to pay them back by conducting public speeches or lab experiments. And just like a regular bank, students are allowed to pay in installments – and those who do not pay back their debts will be prevented from future borrowing. Parents who are involved in the banking industry were asked by the school to help devise the scheme. 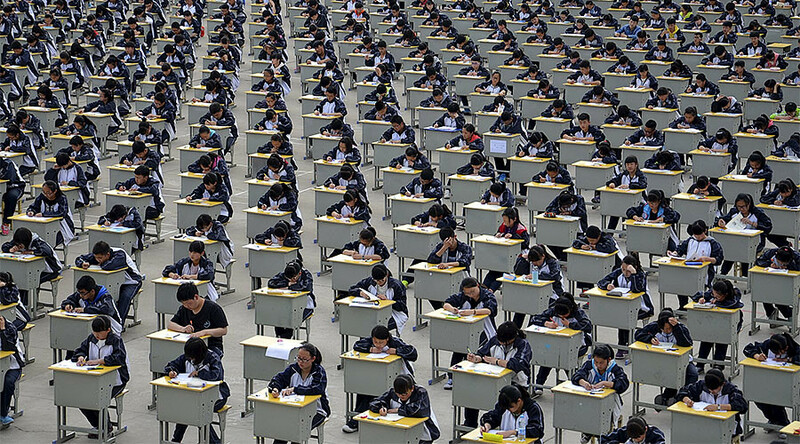 China's education system is extremely dependent on just a few major exams, with college entry almost entirely determined by one test in the final year of school. Students are therefore under increased pressure to perform, with a 2014 study finding that most cases of student suicides can be attributed to pressure from school tests.